No Thank You, Evil! is a tabletop game of creative make-believe, adventure, and storytelling. 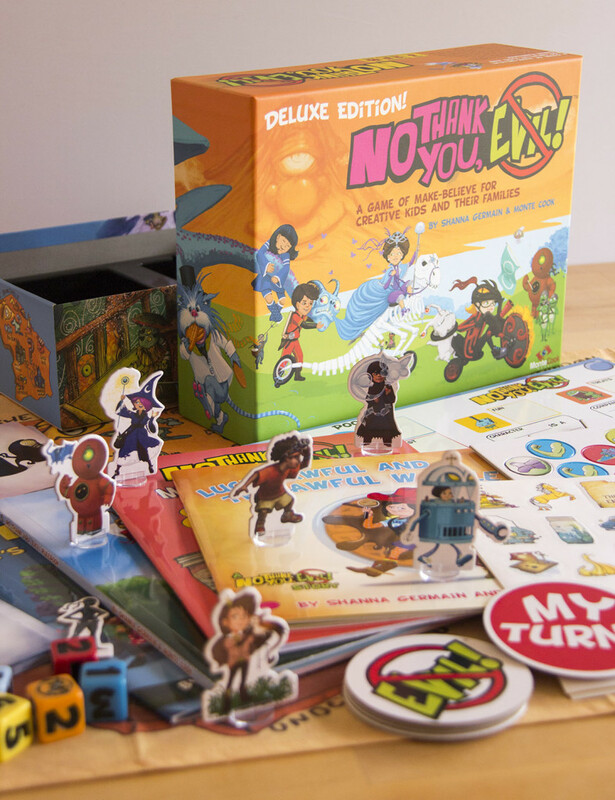 In No Thank You, Evil!, each player creates a character based on a couple of cool, descriptive, imagination-firing traits. The Guide (a special role often played by a parent or older sibling) presents a dilemma, and the players set off on an adventure of the imagination. Along the way they use their character’s special skills, companions, and equipment to overcome obstacles—perhaps fighting a slime monster, winning over the suspicious Mayor, or beating a rabbit at a race.